Prep Time: 30 minutes . 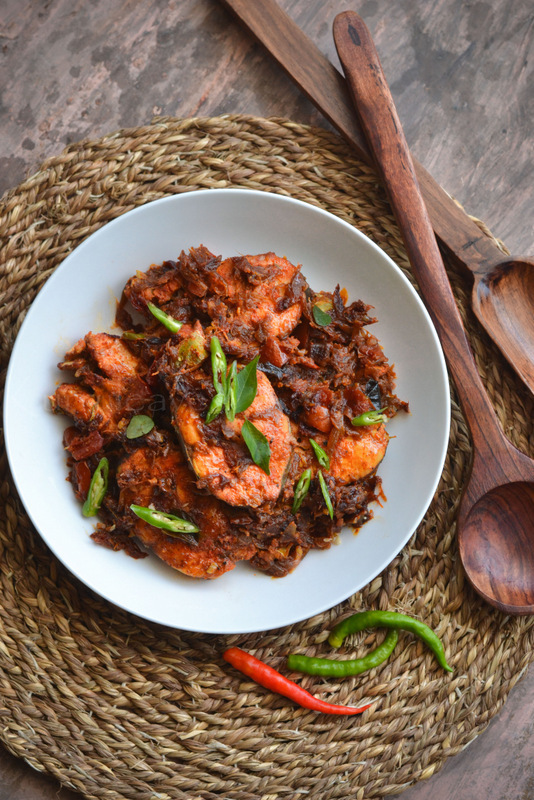 Combine together all the ingredients listed under 'for marination' to form a thick paste , rub this onto the fish.Marinate for about 2 hour or at least 30 minutes.Heat oil in a pan and add onion,curry leaves,green chilies,ginger and garlic. Saute until onion turns golden brown.Now ,reduce the flame to low and add kashmiri chili powder,turmeric powder,coriander powder,garam masala powder and black pepper powder and mix well. Add 1/8 cup hot water .Mix well and cook until masala starts to leave the sides of the pan.Next add the tomato and salt to taste, stir well. 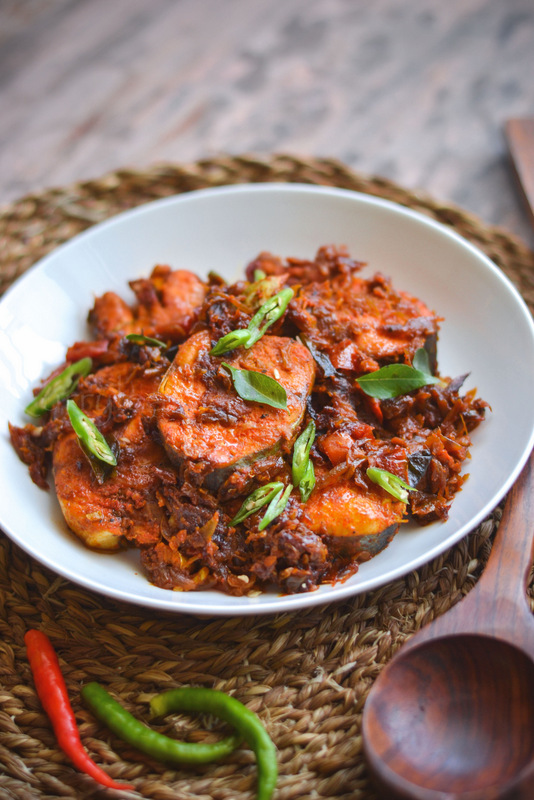 Arrange the marinated fish over the masala,cover and cook for about 10 to 15 minutes over medium flame. 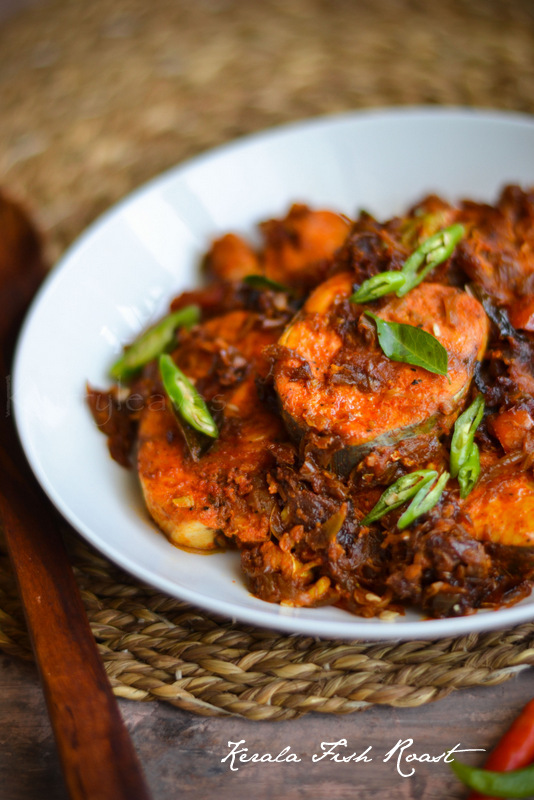 ( make sure you stir gently in between to avoid burning).Uncover and gently turn the fish and cook for another 10 minutes or until masala coats the fish.Garnish with curry leaves and green chilies.